Who doesn’t like a healthy and yet filling Bread? This recipe calls for 100% whole wheat with no white flour added to it. 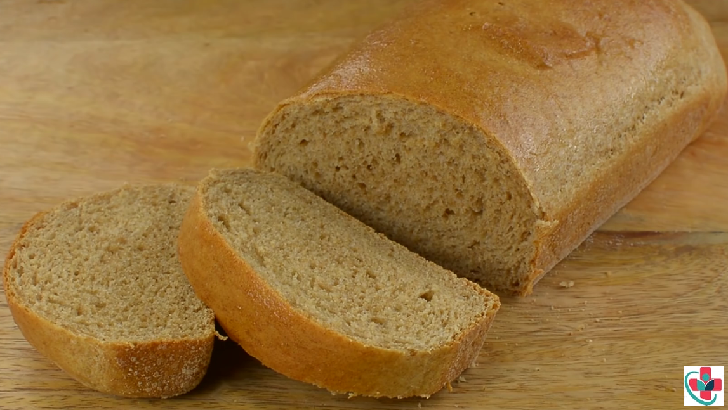 This 100 percent whole wheat bread is perfect for Toasts or Sandwiches. You don’t need a lot of tools and equipment to make a great bread from scratch. The basic things you need are loaf pans, measuring cups and spoons or measuring scale, mixing bowls, and your oven. You can have other extras but these are the main ones. ⏩Mix 6 Cups of the wheat flour all the other ingredients together in a large bowl and mix until a wet dough is formed. ⏩Cover up the dough with a plastic wrap and leave for about 10 to 15 minutes, this will allow the wheat grains to soften and you will be able to knead easily. ⏩Turn the dough over to your work surface and knead for about 5 to 10 minutes or till it becomes smooth using the reserved 1 cup of flour for kneading to prevent the dough from sticking. ⏩Grease a large bowl and return the dough back into the bowl, then grease the surface of the dough as well to prevent it from drying out, then leave it to rise for about an hour or till it's doubled in size. ⏩Punch it down to remove the excess air and return it to your work surface. ⏩Shape the bread into loaves - Ideally, this should make 2 big loaves but I made 3 loaves out of this because I'm not so much of a fan of the big loaves. ⏩Grease your bread pan and dust it with some wheat flour then place the loaves inside the prepared pan and leave it to rise again for about 30 minutes or till it's doubled in size. ⏩Put the loaves inside your preheated oven (350°F) and bake for 40 to 50 minutes or until a toothpick inserted in the middle of the Bread comes out clean. ➲I added lemon juice to the whole wheat bread dough which is the secret to getting a soft and moist wheat bread texture. ➲You can replace the lemon juice with vinegar if you choose to. ➲You can leave the whole wheat bread on the countertop for 2 to 3 days.